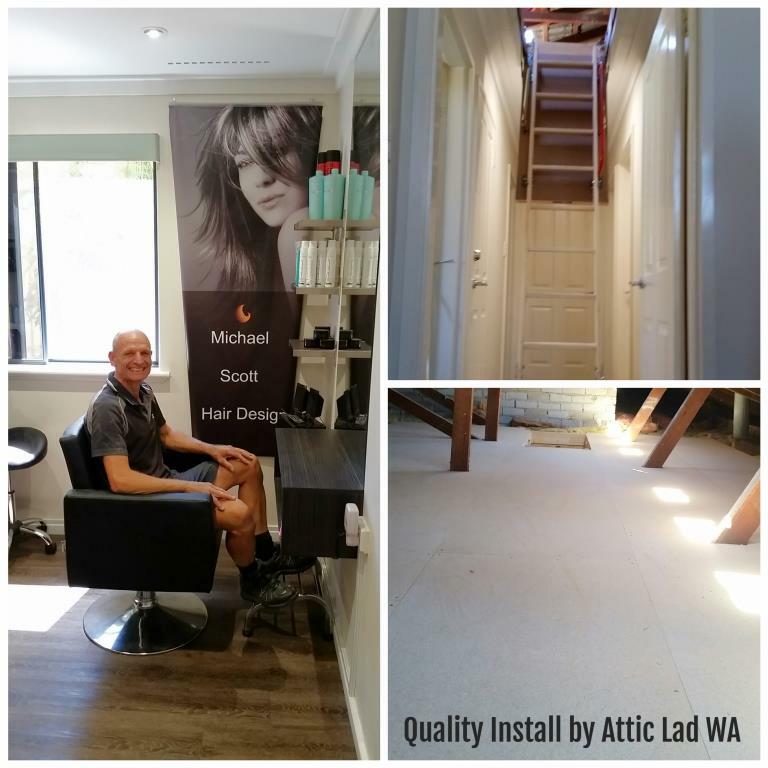 Having more storage in your Perth home is easier with an attic installation by Attic Lad WA. This low cost storage solution will help de- clutter your home and garage. Are you living in Perth and its surrounding suburbs, do you wish to have more storage space in your home and garage? Relax! Attic lad WA has the solution to that problem. 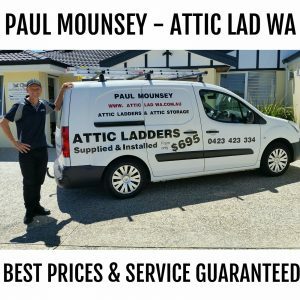 At Attic lad WA I offer an affordable Attic Ladder & Attic storage installation service across Perth. I install quality Attic ladders and create much needed storage space all within your roof. Trying to get an attic installation to your Perth home can be a challenge. Especially if you need it to be carried out on a Sunday, as Mike of Michael Scott Hair Design found out. After contacting different companies to try and get them to come out and quote he was having no joy. One company had even said his job was not worth taking on. After doing a Google search Mike came across my business Attic Lad WA. Lucky for Mike when he contacted me I was was doing an attic storage installation just 10 min from his home. We arranged that I would call around to his house after I had finished the ladder install to have a look at his job. Mike is a hairdresser who runs his salon from home and the only day he takes off is a Sunday. I was more than happy to take Mikes job on and do the install on a Sunday. 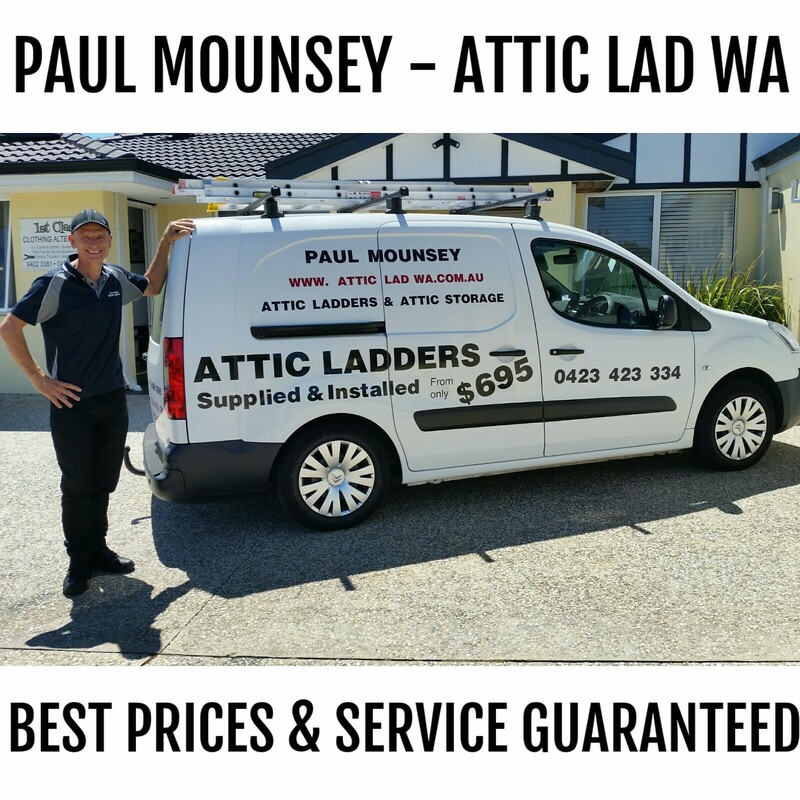 After trying to get another attic floor company to quote on my roof ( they were useless and couldn’t be bothered to even come an have a look) I found Paul Mounsey at ATTIC LAD, great guy and easy to get along nothing was too much trouble . So Paul & Jacko came today to fit my Attic floor and ladder , excellent team did a great job , I would highly recommend Paul . Many thank Michael Chapman.